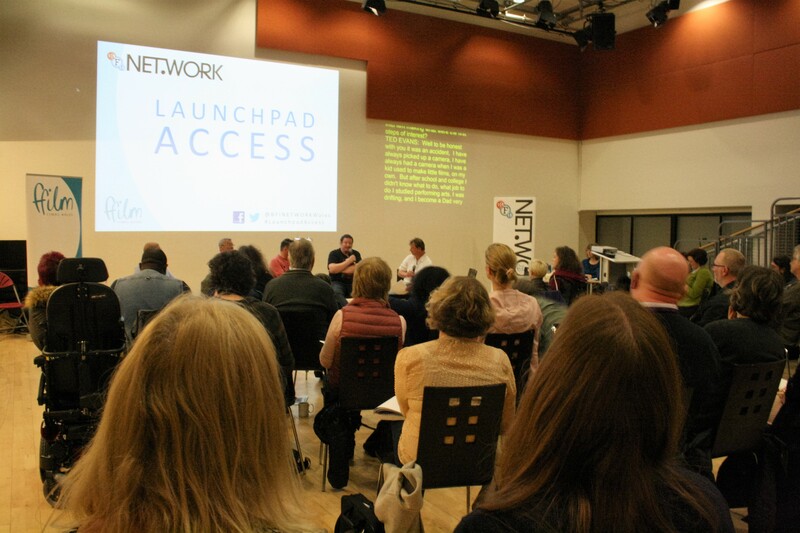 I really enjoyed Launchpad:Access held in Cardiff on 13th May. Organised by Ffilm Cymru Wales in partnership with Hijinx Theatre, CULT Cymru, Disability Arts, Diverse Cymru and Equity, it aimed to get more deaf and disabled people represented in, and working on, film, both on screen and behind the camera. Many of the principles and insights presented would apply across media. I attended in order to improve my understanding of the experience of deaf and disabled people working in film and how I might, as a writer and tv producer, respond more creatively to that. It was a great showcase for some important initiatives which aim to level the playing field for actors with disabilities. Hijinx Theatre recently launched Hijinx Actors ‘a unique Welsh casting platform for over 50 professionally trained actors with Down’s syndrome, Autism, Aspergers and other learning disabilities’. As well as presenting the talent, this site helps both those hiring and those looking for work by giving information about what the actors can and can and can’t do and what kind of support they need, as well as the type of support Hijinx can offer. This is a fantastic example of the dismantling of barriers by the simple expedient of dealing with the obstacles in a pragmatic way, aware of the interests of producers and the potential of the actors. We heard from each of the partner organisations. Simon Curtis of Equity gave us a heads-up about the union’s Manifesto for Casting which is to be launched on 22nd June. This aims to promote greater diversity in working practice and representation, ‘We will seek to widen the net and open up opportunities for all parties: performers, casting directors, agents and engagers. We want the industry to thrive by attracting and retaining professional talent regardless of background or circumstances,’ says Simon. 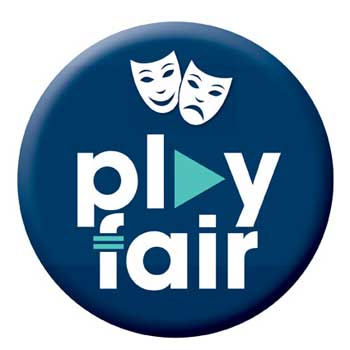 The union already runs a campaign called Play Fair ‘to challenge the industry on the persistent under-representation of diversity, and discriminatory practice in the casting process.’. The session planned for the afternoon from Diverse Cymru’s Zoe King on how to eliminate obstacles to the involvement of disabled people in the industry had to be cancelled but the slides are available here Diverse Cymru Launchpad power point. Diverse Cymru’s report for Welsh Government on Diversity in Film and Television in Wales, Re-Writing the Script is an important survey of the present situation in Wales and makes a set of recommendations. In an article ahead of the Institute of Welsh Affairs’ Cardiff Media Summit in March http://www.iwa.wales/click/2017/03/diversity-film-tv-wales-key-growth/, Diverse Cymru’s Director of Influencing and Partnerships, Michael Flynn called for collaborative action on diversity. I couldn’t agree more. The IWA’s Media Policy group has been working to foreground workforce issues, including diversity, within the major debates about the media future of Wales. A session in its Third Cardiff Media Summit was devoted to the workforce. All interests in this area must pull together if the issue of diversity (and its many facets) is to be high on the agenda. 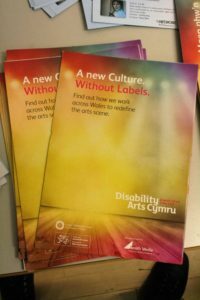 The Diverse Cymru report makes it clear that much more, and more extensive, research is needed in Wales on the experience of disability in the creative industries and on analysis leading to measures to improve things. That’s why the Literature and Practice Review that accompanies the report is essential reading. 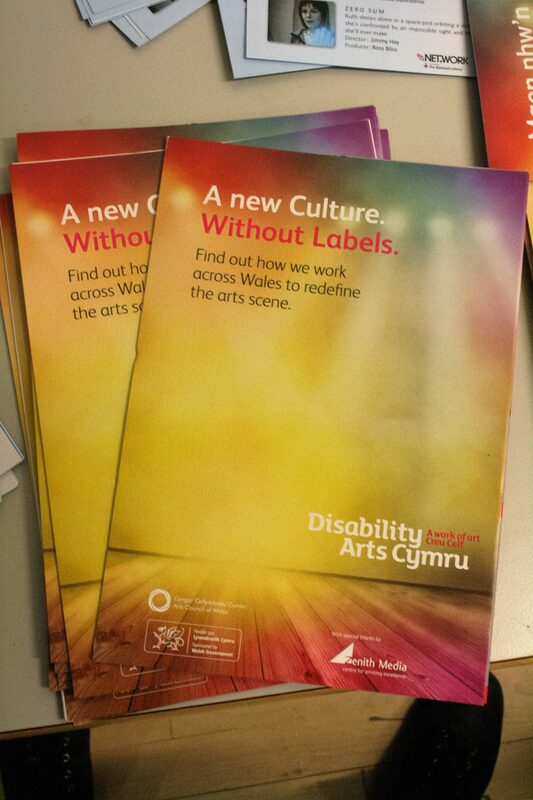 It is not available online but can be had on request from Diverse Cymru’s Policy Manager ele.hicks@diverse.cymru. A study of an aspect of working practice in the TV industry which, though not examining diversity per se, I found to be a good echo of local experience is ‘The indeterminacy of ‘temporariness’: Control and power in neo-bureaucratic organisations and work in UK television’ by Farrell, Morris and Reid. More research of this kind is needed. This need for deeper knowledge about practice and trends applies across the board. How well are the interests of disabled people being represented in policy development in the creative industries? A question for the imminent Creative Wales body being set up by Welsh Government too. 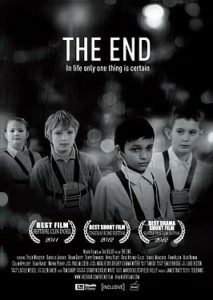 Something from the day that will stay with me for a long time is the moving short film, The End (2011) by Ted Evans. Simple in execution but extremely well-judged, it brought us into the world of the putative only deaf person in the UK who turns down the chance to be cured. It seems to me to be a film about ‘deaf culture’, a phrase that was used several times during the day. If this culture were to come to an end, the film suggests, even by so positive a development as the curing of all types of deafness, somehow, then something would be lost, some way of perceiving the world, something beautiful. There were echoes here of the poignancy of the loss of a language. The protagonist retains his ‘disability’ because it has a kind of preciousness. This inverts our expectations. I found it thought-provoking and memorable. It would make an excellent way into a discussion between the deaf and the hearing. In interview Ted Evans discussed with Alex Usborne of 104 Films (a company which claims to be ‘the world leaders in disability cinema’) his imminent thriller, Retreat which is being developed from a 2013 short (review) into a feature via Creative England’s low-budget initiative, iFeatures. The clip we saw of this was gripping. Its scenario is a group of deaf people who form a kind of closed society which resists any member’s attempt to leave. ‘I’m very proud of deaf culture, ‘said Ted. I’d love to see more of his work because the clips suggest it offers an angle on life that those of us who can hear ought to pay attention to. Retreat will be made in British Sign Language. Take a look too at BSL Zone, ‘the home of British Sign Language on screen’. This was a day rich in insight and information. It was a pity it was not attended by a greater number of media people, especially writers. Caglar Kimyoncu gave us a glimpse of the discursive method he uses with actors to develop his highly collaborative digital work. The programme was to include a session by Kaite O’Reilly on ‘writing diverse characters’, a topic that was, for me, a major draw of the day but she had to pull out. I hope very much that Ffilm Cymru might consider how to share this type of expertise on another occasion. The day made me reflect on creative industries curricula in Wales at under- and post-graduate level. To what degree are the type of issues covered in this event a standard element in them? I don’t know the answer to that. Little, in my personal experience of teaching but after this I will be doing more asking. There’s clearly an appetite for more engagement. Ffilm Cymru Wales and Hijinx are hoping to have another training programme because of the success of the recent 3-week joint training event involving 8 writers and directors.